Hyeopjae Beach is located on the west side of Hanrim-eup, and is part of Hanrim Park. The beautiful white color of the sand comes from the large amounts of crushed seashells that have been mixed in with the sand. 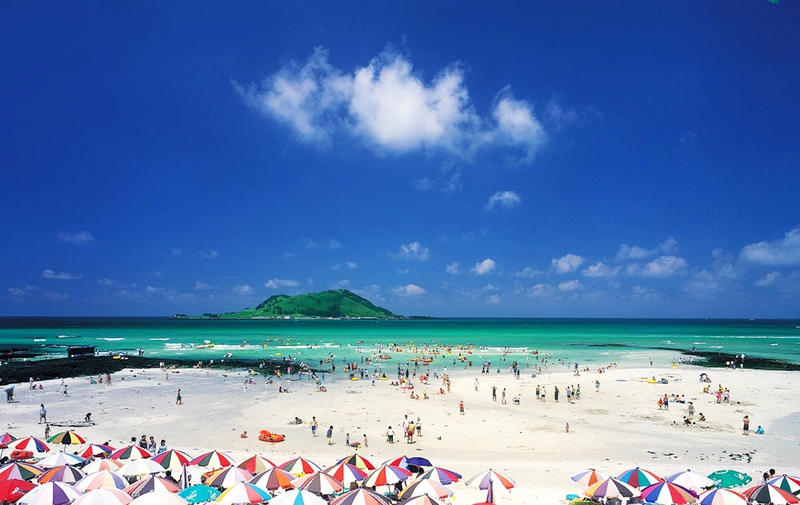 The long seashore stretches for 9 km and has cobalt colored seawater and evergreen forests scattered around the vicinity, making the scenery very beautiful. Just off the beach is Biyangdo Island. The white sandy beach is about 20 meters long, and the water is 1.2 meters deep with no sudden drops. In the evergreen groves, there are plenty of convenient facilities and campgrounds for visitors to use.